Structure and dynamics of biological water - We intensively study the structure and dynamics of water in biologically relevant systems. Research questions include, among others: intermolecular interactions, molecular structure and organization, energy relaxation pathways, intra and intermolecular energy transfer. The complexity and relevance of the so-called biological water is an extremely important research topic. Interactions between water and other biomolecules have strong impact on the activity and functioning of, among others, proteins, DNA and complex structures such as cell membranes. Development of spectroscopic and microscopic techniques - The ability to tackle important research questions is often hindered by experimental limitations. It is therefore important to look for new solutions and break technical constraints. 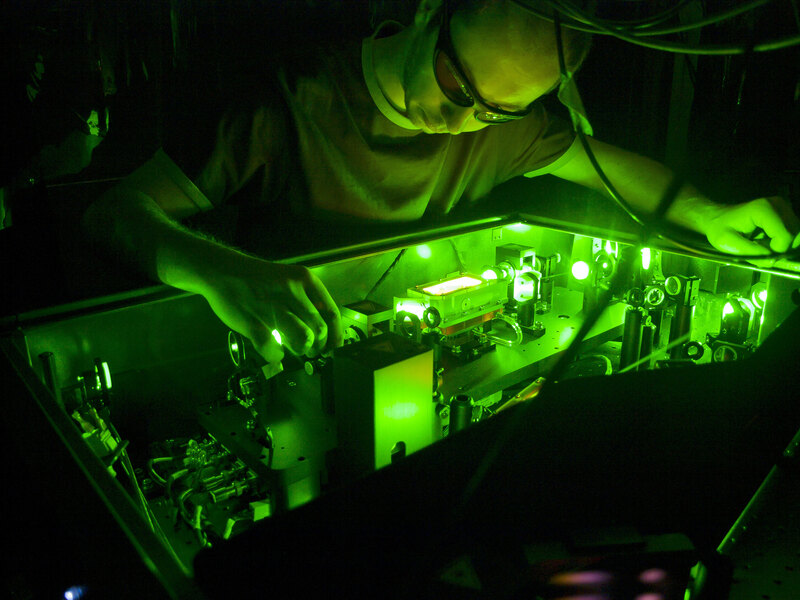 We continue to develop and optimize complex spectroscopic and microscopic techniques, capable of investigating relevant systems with high temporal and spatial resolution, as well as with high sensitivity. Single molecules - Investigating single molecules reveals properties that are otherwise hidden in the ensemble average. Interactions between molecules and their local nano-environment are in the spotlight, as the properties of individual molecules (structure, dynamics, intra and intermolecular energy redistribution) may vary significantly depending on the nature of their environment. Crucially, we can use properties of individual molecules to probe the local environment in complex systems. We have two PhD positions open.